If you’re looking to take your CBT test in Manchester there are plenty of CBT test centres to choose from around the city and in the surrounding areas. Moto-Technique Motorcycle Training are based right in the centre of Manchester, a short walk from Manchester Victoria station. Moto-Technique have a wide range of scooters and motorcycles for you to use for your CBT test. 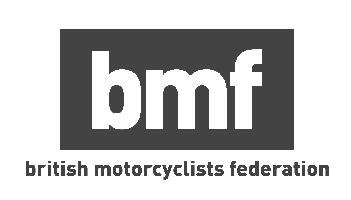 If you book with Moto-Technique for your CBT test in Manchester via the RideTo website you can take advantage of Instant Booking, which means your CBT will be confirmed instantly - you won’t have to wait for a call from the instructor. MSM Motorcycle Training are a little further out of the centre, based at Belle Vue stadium, just a short walk from Belle Vue train station. With this training school being away from the city centre, the local roads are a little quieter, which will make your road assessment ride a little easier. MSM also take advantage of our Instant Booking system and even have an on-site cafe. RoadRider CBT Training are based in Audenshaw, just inside the M60. Both Guide Bridge and Fairfield stations are close, which makes getting to the training centre a doddle. RoadRider have a wide range of motorcycles and scooters that can be booked via RideTo using Instant Booking. RJH Motorcycle Training are located in Salford, a short drive from Salford and Clifton train stations. RJH are MCIAC Approved, which means they offer the best instruction and customer service possible. Once you’ve got your CBT certificate, you’ll want to take advantage of some of the great roads on Manchester’s doorstep. To the east is the Pennines and the Peak District, both of which are home to some of the best roads in the UK. Heading directly east out of the city centre is the A628 - commonly known as the Woodhead - a wide, flowing A-road that connects Manchester to Barnsley. It’s a busy road, used by lots of lorries, but offers great views across the Pennines and some of the many reservoirs of the area. If you want even better views, turn off the A628 onto the A6024 towards Holmfirth. This road winds uphill, and at the crest there’s a conveniently located car park with views stretching for miles. There’s usually an ice cream van in the warmer months, too! If you’re looking for something a little twistier then head to Glossop, where you’ll be able to pick up the A57, otherwise known as Snake Pass. This road is well known throughout the UK, and as such is a popular destination for other motorists and cyclists. There are dozens of picturesque villages just off the A57 in the Peak District if you want to get off the beaten path. To the west of Manchester you can head to the coast for a lovely chip dinner on the seafront. The roads aren’t as interesting, but everybody loves the seaside, don’t they? What Do I Need to Bring to my CBT Test? Suitable Clothing (i.e. sturdy trousers such as jeans and boots). Are you unsure whether you can take a CBT Test or are interested in answer to the most common questions asked about the CBT Test then RideTo has you covered.